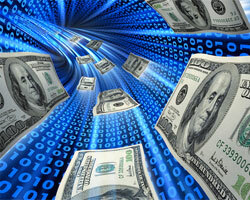 Domestic wire transfers are available into and out of your checking or savings account. Outgoing wire requests are made by two o'clock E.S.T. each day. The length of time it takes to complete the transaction depends on a number of factors. Two important tips, (1) make sure you make the wire request as early in the day as possible and (2) make sure you specify which account the money is coming from or going to. Southern Credit Union requires a written and signed consent form to wire money to other accounts on your behalf. This is in order to protect your accounts with us. You may come in to the office and fill one out, or you may fax something in to us. Include the specific wiring instructions for the institution you are wiring money to. We will keep this information in your file. Remember, if you are changing routing instructions, we will need consent for that account as well. Remember to update your information in writing if you have a change in name, address, phone number or email, etc.